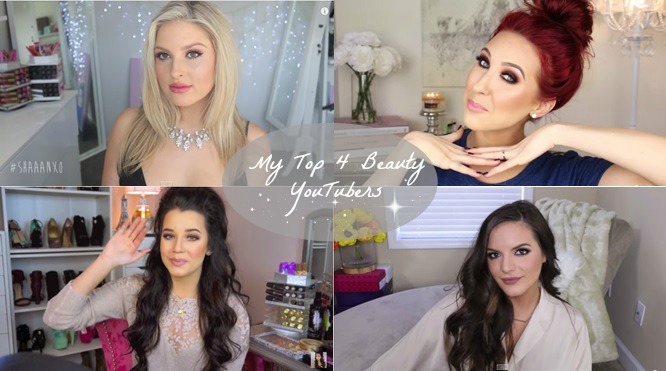 It is thanks to all four of these beauty gurus above that I am in love with everything beauty and they truly are the most enjoyable and talented girls on YouTube! I remember coming across Shannons YouTube channel back when she did a collaboration video on Lauren Curtis's channel alongside Chloe Morello and Karissa Purkas. Her and Lauren were my ultimate favourites, but after being subscribed to them both for such a long time, I have been more drawn to Shannon just because of her commitment and dedication to her videos and uploading schedule (I still do love Lauren!). Shannons is an amazing, talented person who creates so many different makeup looks and really gets inventive with them. I love how different each of her videos are and although I mainly love her makeup tutorials, I also enjoy watching her haul videos too! Her beauty room is a girls dream! Her makeup stash and organisation is huge! Despite her success, she is still a down to earth individual and has stayed true to herself! I love that she's always so bubbly in her videos and I adore her accent! The first video I watched of Jaclyn's was a pin up tutorial she did and I remember thinking she was absolutely stunning! Jaclyn is the most easy to watch youtuber I have come across. Her facial expressions and sound effects make my life, she is simply so lovable and energetic! Jaclyn has the most incredible knowledge on makeup and has tips for every girl and boy out there. Her makeup is always on point, with a fierce winged liner and incredible contour! She's so stunning and I always look forward to watching her videos! She is the one person who I watch every single video of as they're always beauty related and she always tells you some great tips and tricks! Her relationship with her husband is the ultimate 'couple goal', they are so cute together and you can see the true love between the two! Plus I think the decor in her house is so luxurious and elegant, ah stuff it - I love everything about her! If you haven't watched her videos, where have you been?! I think I have been subscribed to Meg for the longest time out of all four of these YouTubers. She is so talented and her makeup is always done to perfection! She gives really in depth tutorials which I love to listen to while I'm doing my actual makeup. She's simply so likable! This year, I've been obsessed with her vlogs. Her and her boyfriend are so sweet and they always make me laugh! It's weird and slightly creepy how much I like watching her everyday vlogs, I'm not sure what it is about them but I really look forward to them! Like the others, she's very down to earth and is open about a lot of things on her vlog which just makes me like her even more. She loves candles and lush products and just like Jaclyn, she has a real eye for interior designing! I think Meg has incredible style and I love that she takes such great passion in her appearance and style. Casey is one of my most recent subscriptions, although I've probably still been subscribed to her for a good year now. I love Casey's attitude towards things, she's so independent and just confident and happy in her own skin. It's very rare that you see a single YouTuber actually, but after watching her videos I feel happy and proud that I'm a single girl - ha! Casey's tutorials are great to watch because she uses a whole variety of products and a lot of them are affordable. She really does go all out with some of her editing videos like her 'Morning Routine', which I love because sometimes those kind of videos seem quite repetitive and boring. She's also been doing a bit of vlogging lately which I've been watching and enjoying. I love her south american accent too! Casey is so bubbly and fun, just the girl you'd want to hang out with! Ah cool! I've been subscribed to her for almost 2 years now :') She's so good! i've actually never heard of any of them, i know what i'm doing today haha!